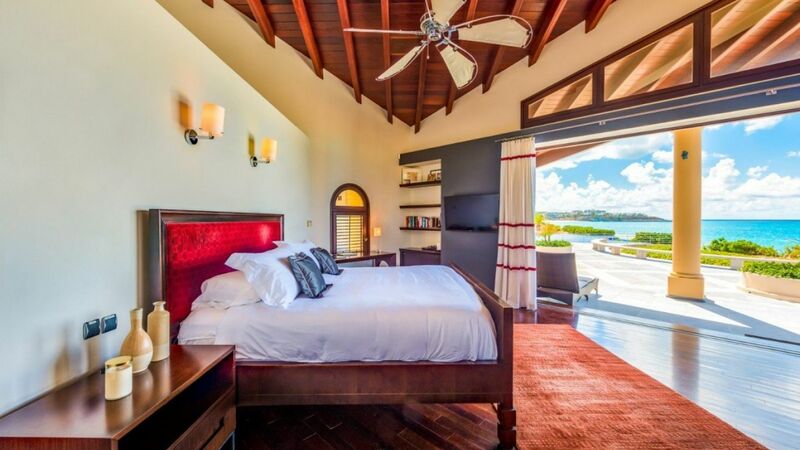 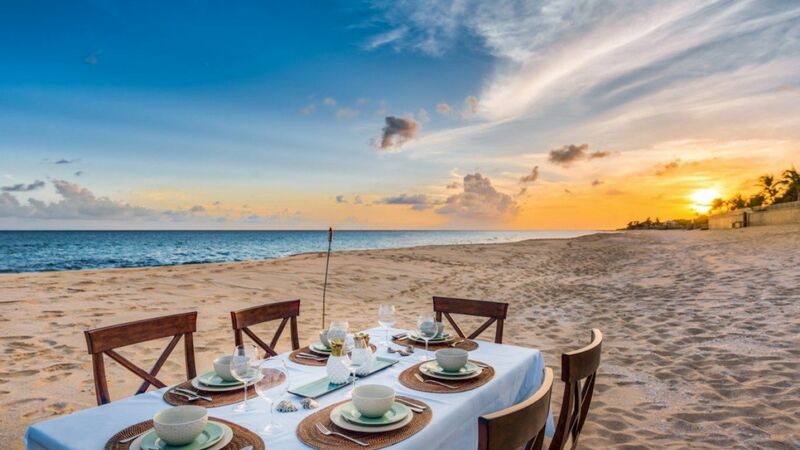 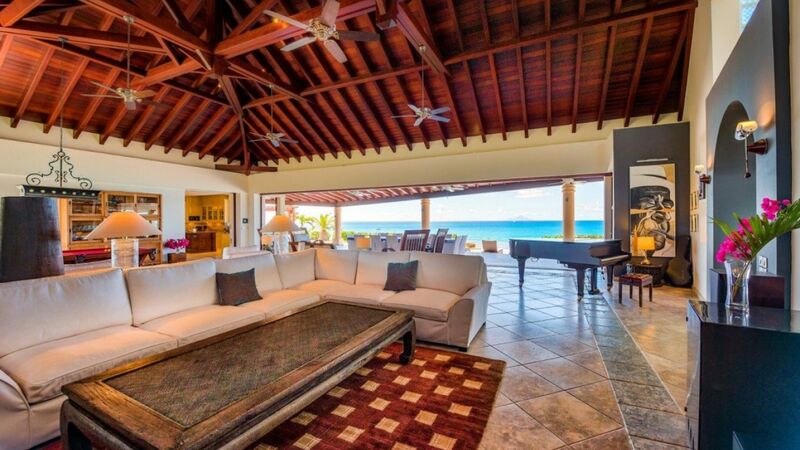 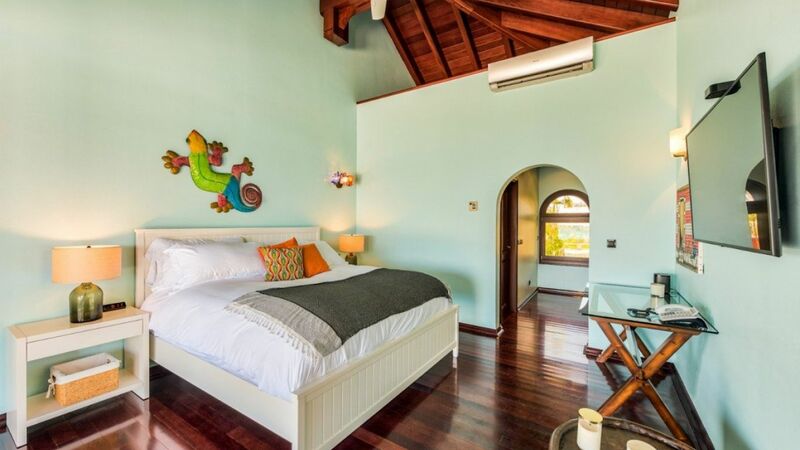 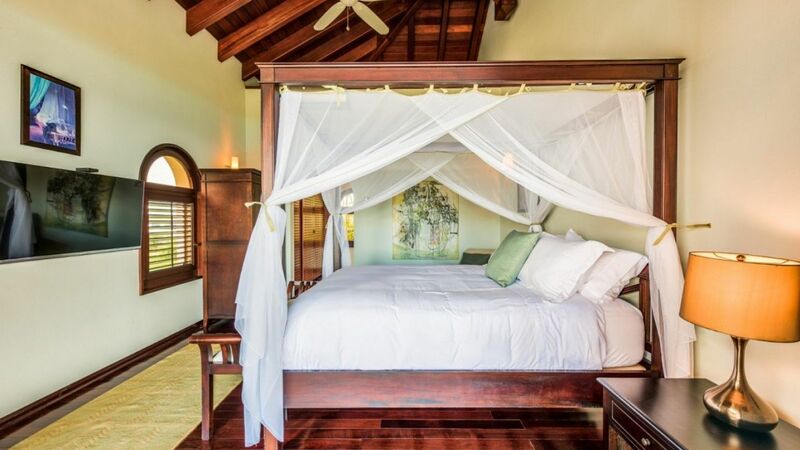 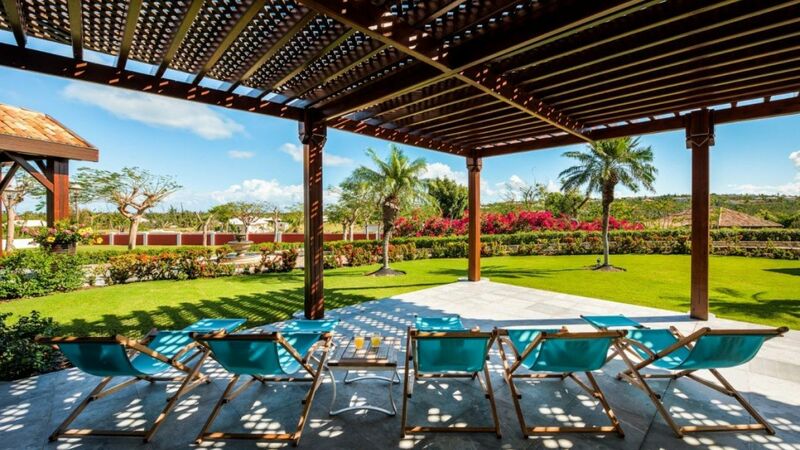 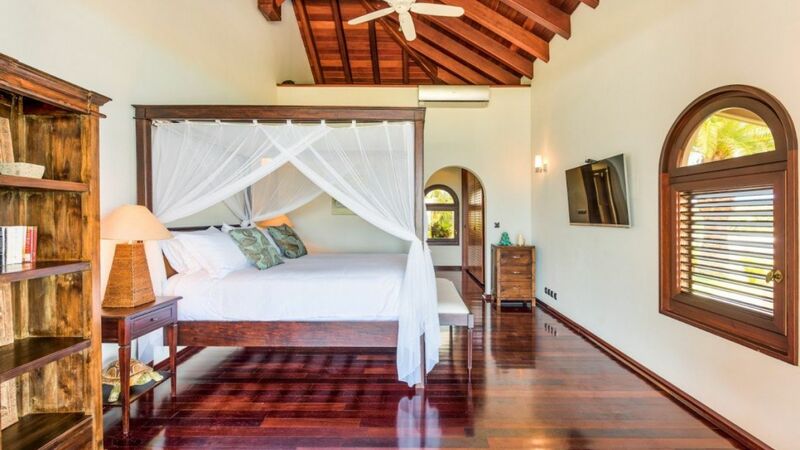 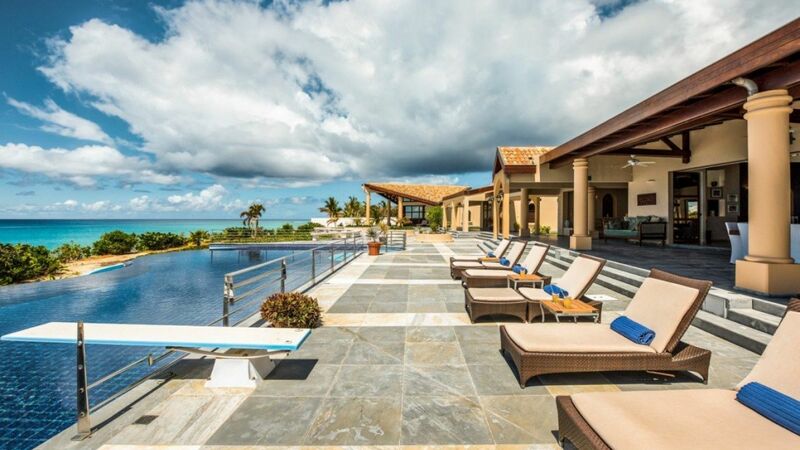 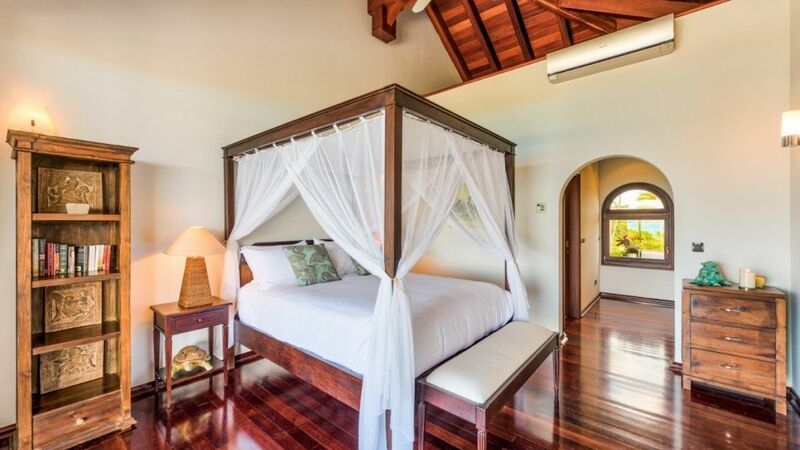 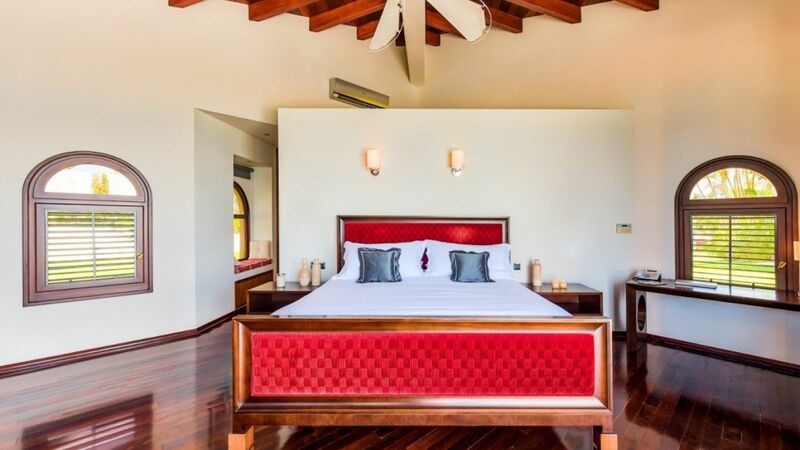 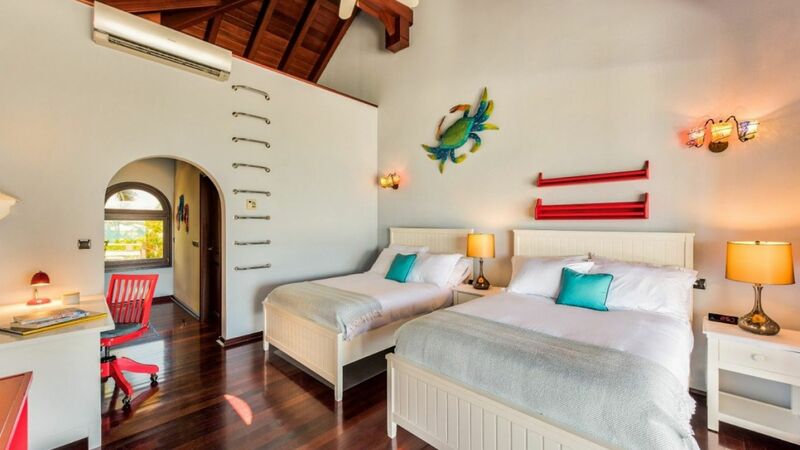 Villa Danae is the newest 5-bedroom beachfront villa. 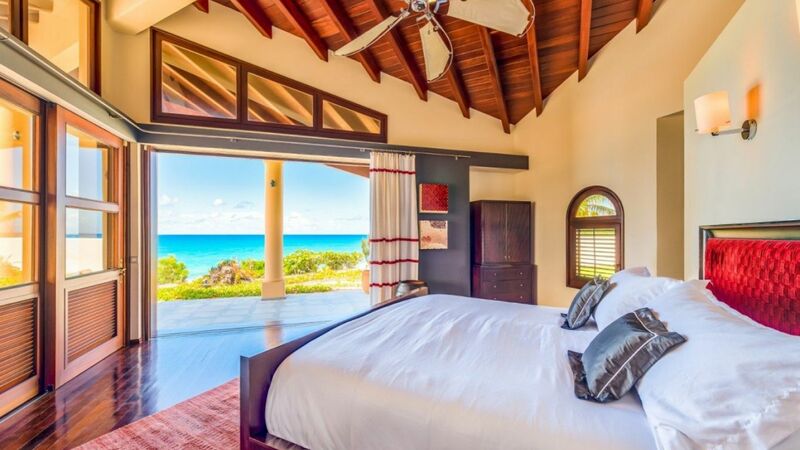 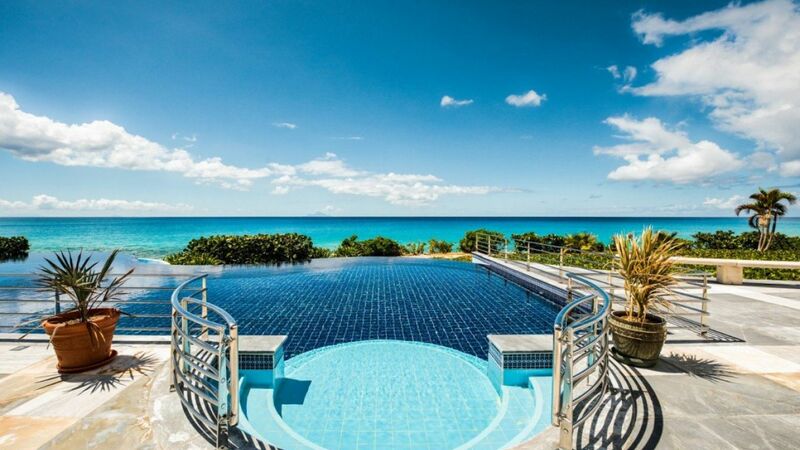 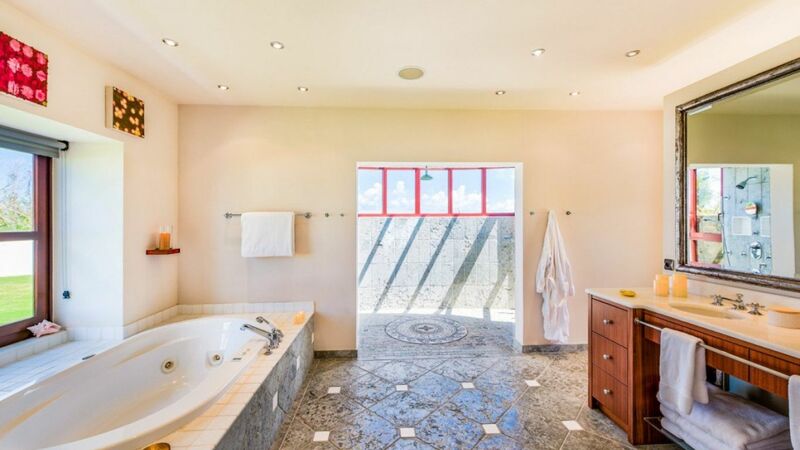 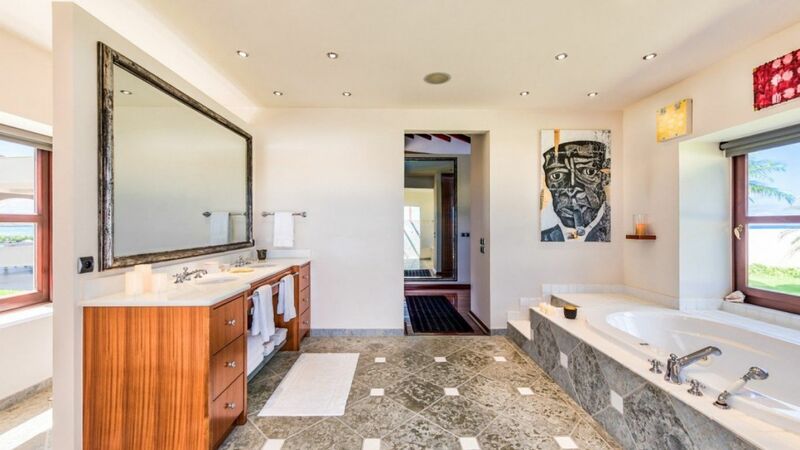 Located in the exclusive gated community of the Terres Basses on the French side of St-Martin, on the same beach as famed La Samanna resort, you are only 15 minutes to the Juliana International Airport, 15 minutes to the quaint Creole town of Marigot and a further 15 minutes to Grand Case, Hope Estate and Cul de Sac. 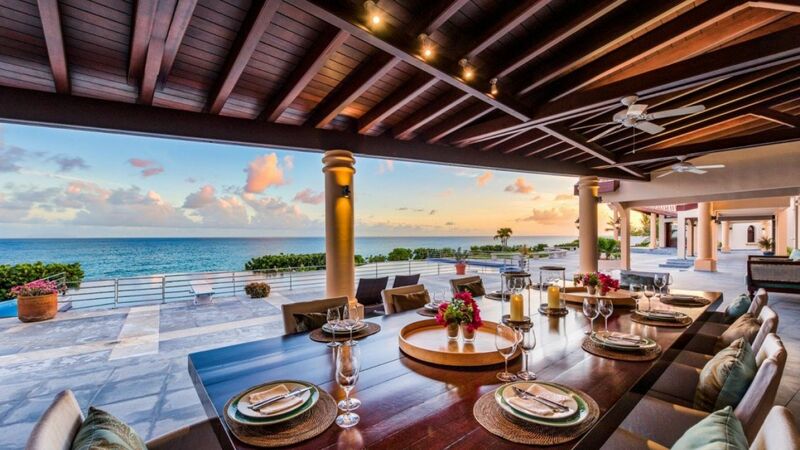 The Great Room, with vaulted ceilings made from Brazilian Cherry hardwood, has large sliding glass doors that open to the al-fresco dining table, covered terrace and expansive pool deck. 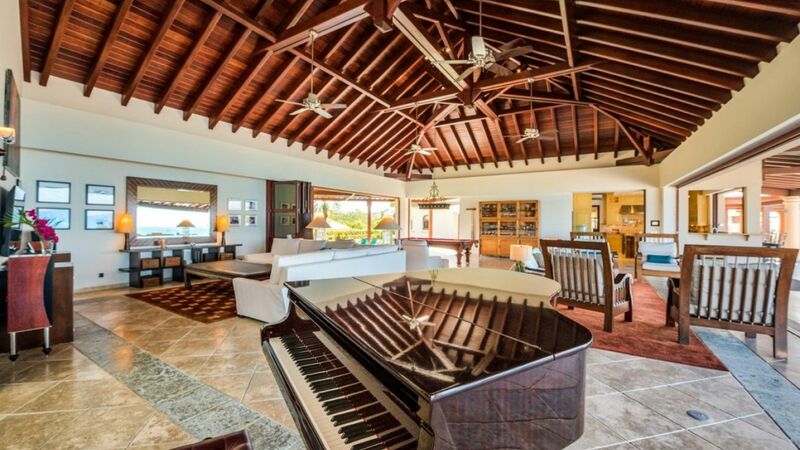 Including a grand piano and billiard table, the Great Room also includes a large TV screen with surround sound. 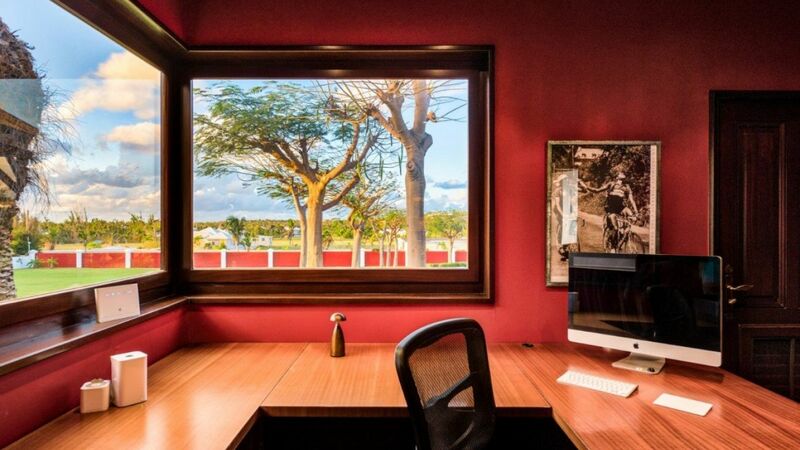 Just off the Great Room, you will find a fully equipped office including Mac desktop computer and printer for guest use. 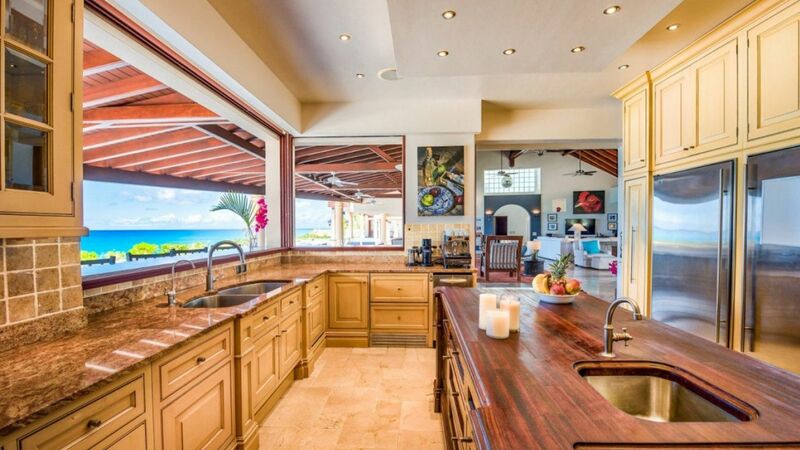 The large gourmet kitchen, attached to the Great Room, is a chef’s dream. 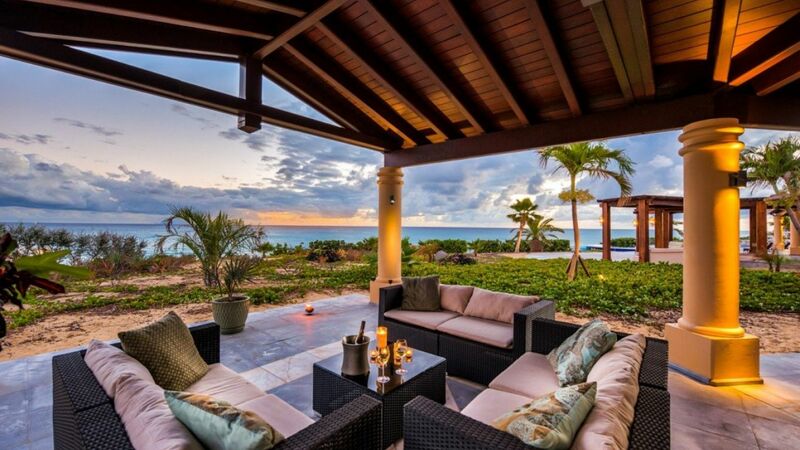 The 5 bedrooms are laid out so they each enjoy beach views from their private access under the covered terrace. 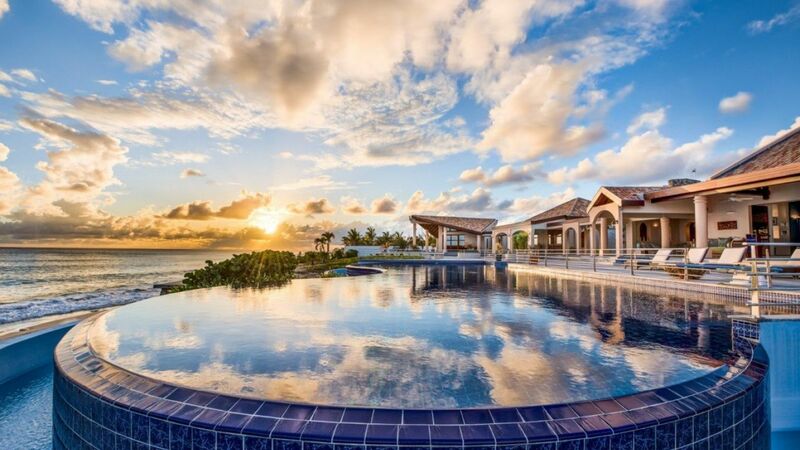 Take in the 400 ft. worth of west facing beach views from the pool, with diving board, or better yet from the villa’s rooftop patio with built-in daybed. 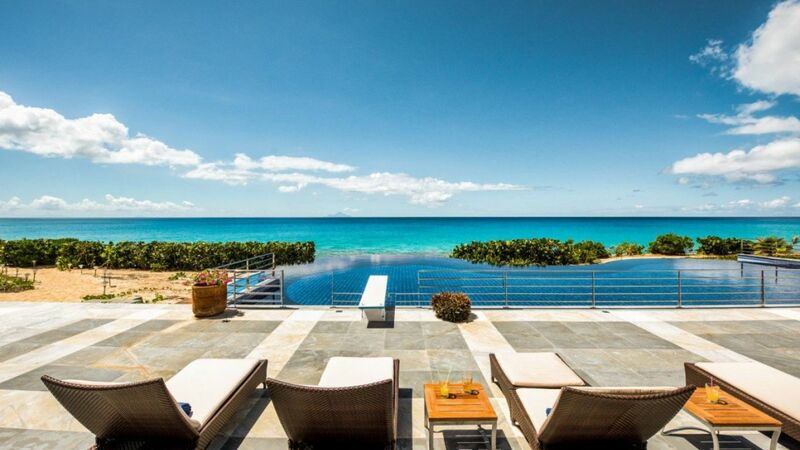 When the conditions are right you can see neighboring islands Saba, St. Eustatius and St. Kitts. 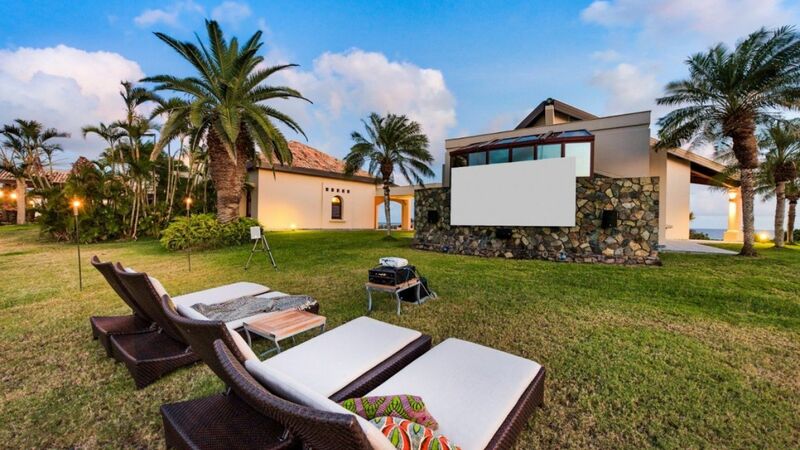 And if the property does not already offer enough in fun amenities, why not enjoy an outdoor movie from the villa’s garden.